Woahhh, head rush! This book was EPIC! I'm so glad I didn't pass this one straight on Edelweiss - I didn't know much about the book or author (since the book is a debut). In fact, when I went to start this book, I still hadn't really read the synopsis, or known a great deal about the book. So I went into this one with no background knowledge, no idea of what this book was about (other than the fact that it is fantasy - my favorite genre). It was a fantastic surprise! Mare is a Red - she has red blood, she's born into a red-blooded family, and has no abilities, like the Silvers. The Reds work in order to maintain society, whereas the Silvers are the nobility. This concept isn't new. When Mare gets a job in the palace, something happens - she demonstrates an ability - something a Red shouldn't have. In order to cover up this abnormal occurrence and keep peace, the Silver queen makes Mare a Silver in disguise. Mare is now the Heir to the dead Titanos line - a noble lady - and engaged to the King and Queen's son, Maven. But playing royalty is a deadly role, and Mare will be walking a thin line as a new royal, and an integral part of the uprisings. This book reminded me of Red Rising by Pierce Brown - Darrow (from Red Rising) is transformed (literally) into a Gold, the noble class, but he came as a Red, the working class. Mare is a Red, but she is masquerading as a Silver. 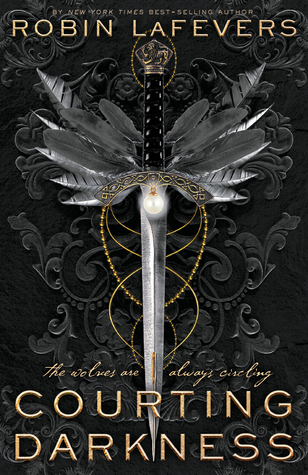 I'm not seeing the "Graceling" comparison in Red Queen, but I can understand the The Selection one. Mare is a pauper-turned-princess, and she will be marrying a prince - one of them. I think I liked Mare. She is brash and outspoken, and hates the nobles. She knows both worlds, and she isn't blind to the struggle of the Reds. She wants to help with the Scarlet Guard - the revolutionaries who want change in the nobility. Mare keeps strong as she deceives the world, as a fake Silver, and as she deceives the Silvers, but helping the Scarlet Guard. This book is very story-driven, meaning, the actual story is so much more important than the romance. Mare's struggle to adapt to Silver life, her interactions with the Scarlet Guard, the sneaking around to help with the revolution - these events take precedence. There is romance in this book, but it's so not-there, mostly. It doesn't drive the story, like in The Selection, for example. 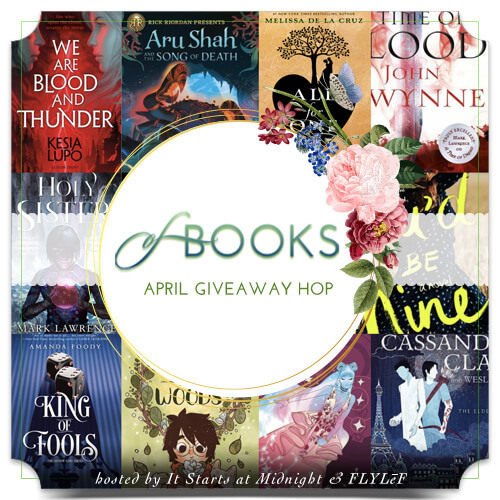 It's a lot like Red Rising - it's there, and you know who should end up with who, but the romance is going at its own pace, and not forced into the story. However, let's talk about the romance. It will seem like there is a love triangle going on. Mare is engaged to Maven, the younger prince, the son of the King and current Queen. However, the older prince (and heir), Cal, the son of the King and late Queen (Coriane, who is dead), is also a part of this book - he is extremely crucial to the story, and the romance. He is the reason why Mare got the job at the palace (she tried to pickpocket him, and he gave her a job. Go figure). The thing is, you will ALWAYS know what is happening, in terms of the romance, and it isn't love-triangle-y at all. Mare only has feelings for one of them. I ALWAYS thought that one boy was more of a friend - I got the friend vibe from him. The other one was steam and spark when he and Mare are together. Overall, I really, REALLY liked this book. The fantasy and world-building were lovely (though it reminded me of other books), I liked the female and male protagonists, I liked the story (though I was very stressed at times while reading), I really liked the romance. Forbidden, mmm. Don't worry about the love triangle, it's insinuated, and not actually there. Love! Also, like I said before, this book reminded me of Red Rising A LOT. Like, Red/Silver classes in Red Queen - Red/Gold in Red Rising. Red Rising came first though. So... yeah. It bothered me a bit. I'm sure it wasn't intentional, but little things like that stick out. Fantasy fans, I'd definitely recommend this one to you! So much life-threatening drama and important subterfuge and secret romance. I liked this book a lot! 4 stars. I will definitely be reading book two - which I'd like right now, please! YAY! That's awesome! Be warned, it's part of a trilogy, so there will be waiting involved... but this first book was great! I read this bokk and love it. There is one of my fav books ever. I'm so happy to hear this! WE NEED BOOK TWO! I just finished this book last night and I LOVED it. I can't believe you weren't surprised at that part!?!?!?! I knew not to trust him but I really didn't see that whole thing coming. YAYAYAY! Awesome! And nope, not really. Kinda, but not really. Everyone kept saying how _____ was so much like _____, so I was all like yuuuuupppp, I see you boy. But I read into things like I'm analyzing something LOL. Thank you so much, Aneta! Hmmm, your comparisons with Red Rising are making me even more curious about this one! I had heard great things about this one but getting an actual 4 stars from you is really good, so I hope I can get my hands on it! Even though there were those similarities, I thought this one was pretty cool. I liked the story a lot - it will definitely make an awesome movie! Man, this sounds so good! I keep mixing Red Queen up in my head with another book (not sure which one) so before now it hasn't really been on my radar but now it is :) I haven't read Red Rising or The Selection yet (I know, I know, they're on my list) so I won't get those comparisons, but I'm really looking forward to the release! The romance though sounds like it might get on my nerves since I love a good amount of romance in books. Great review! I wouldn't necessarily be in a rush to read The Selection, honestly... I wasn't crazy about it. I liked Red Rising A LOT though. And you really have to read the book to figure out the romance. Trust me, it clears itself up (in a pretty obvious way) in the end. I hope you enjoy this book, if you read it! Soooo excited for this one! I hope you enjoy it, Nereyda! I was really disappointed by Red Queen. I found it very predictable and it felt like I had read it before. The idea was intriguing though and I did like the writing style. Awww! I'm sorry to hear that! Perhaps I don't read books so like it. If you read The Selection and liked it, then I could see where you're coming from. Personally, I hated The Selection. And this book isn't too similar to the book, though I can see the similarities. OOoh nice! Started hearing mixed things on this one and was getting worried! That you liked it so much gives me more faith that I will enjoy it!! Great review! No need to worry! I thought it was pretty epic. I hope you love it, Jessica! Thank you so much! I haven't read Pierce Brown's novels yet, but they are on my MUST list for 2015, so if I end up liking 'em, I'll probably give this novel a try as well seeing how it's comparable. I LOVED THEM! They're adult though, whereas this book is Young Adult. Very big difference! This one is more epic fantasy driven, whereas Brown's books are more science fiction driven. I'm so sorry to hear that! I didn't think the similarities were TOO overall - especially given the different tones of the two series (one being Young Adult, the other being Adult). But it probably also helped that I didn't know much about this book, before reading it. If you end up finishing this one, I hope you like it! I only skimmed through the review since I need to read this soon, but I've been seeing a bit of mixed reviews for this, so I'm happy to see you enjoyed this! I haven't read Red Rising yet, so maybe that's good for me? haha. YAYAYAYAY! I hope you love it when you read it, Eileen! I loved this one too! I did just see someone else post a review that they didn't like it as much as I did. And I disagreed with a lot of their complaints, but again, I always figure to each their own! Glad you enjoyed it as much as I did. This is a very helpful review, thank you, Alyssa! Glad to hear there's not a love triangle - that was something I was definitely worried about. And I asked around and it seems like there shouldn't be one going forward either. I think I need to give this book a shot. I've heard mostly good things! Nope nope nope! The ending kind of made the romance perfectly clear hehe. I hope you love it, Danielle! I hope you love it! And that is a fantastic opportunity, congrats! Don't be worried about the romance at all - it takes care of itself at the very end of the book (in a very good way, in my opinion). It's okay! I loved Red Queen Alyssa. Unlike you, I read it before I read Red Rising, and I didn't even think to compare them. 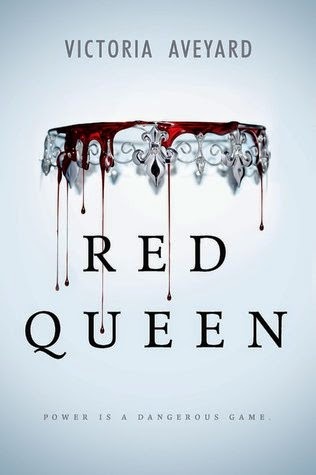 To me, Red Queen is more about fantasy and even paranormal traits than the brutal-sci-fi,-fantasy of Red Rising. I agree! That's how I saw the two - but I think Red Rising (and Golden Son) were so fresh in my mind. Hmm...it sounds like a decent fantasy, but I'm a little afraid the political intrigue will be too heavy for me. I'm not always especially patient with that. What do you think? A lot, a little or just right? I didn't think the politics business was *too* bad! Personally, I like political intrigue, but I understand if you don't; I didn't think it was too heavy. There were other things going on too! Ugh, I'm sorry, but... I HATED Red Queen. It was unbelievably tedious, and Mare Barrow was SO obnoxious. But if you love it, don't mind me :P sorry!